A memorial event will be held at UCL on the 17th May 2016 to honour the life and work of Professor Helena Forsås-Scott, a much respected Director at Norvik Press. Helena joined UCL in 1994 and retired in 2010 as Professor of Swedish and Gender Studies. She was a pioneering force in Gender Studies at UCL and a much-loved colleague, supervisor, mentor and teacher in the Department of Scandinavian Studies. Helena’s major publications include Re-Writing the Script: Gender and Community in Elin Wägner (2009), Gender-Power-Text: Gender and Modernity in Twentieth-Century Scandinavia (2004), Swedish Women’s Writing 1850-1995 (1997) and A Century of Swedish Narrative: Essays in Honour of Karin Petherick (1994). 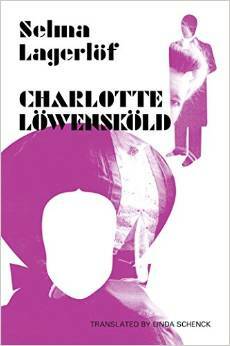 Helena was a Director of Norvik Press and Editor of the ground-breaking translation series Lagerlöf in English. Helena Forsås-Scott has been awarded a prestigious prize by the Swedish Academy. Norvik Press congratulates managing editor Professor Helena Forsås-Scott on the recognition of her work by the Swedish Academy. The prize, which is awarded as part of the Swedish Academy’s annual Belöningar ur Akademiens egna medel [Awards from the Academy’s Own Funds], is given to six people annually and is worth SEK 60,000. In her academic roles at University College London and The University of Edinburgh , as well as in her editorship at Norvik Press and various other publications, Helena has played a major role in celebrating and promoting Swedish literature in the UK. Helena is currently editor of the Norvik Press “Selma Lagerlöf in English” series, which provides English-language readers with high-quality new translations of a selection of the Nobel Laureate’s most important texts and in 2014 Norvik Press published the second edition of Forsås-Scott’s book Re-Writing The Script: Gender and Community in Elin Wägner.